Jennifer Michelle Goodwin is an American actress best known for her work in the television series Big Love and Once Upon a Time. Born on May 22, 1978, she first started acting during school and after having completing her education, she decided to pursue her professional career in it. Ginnifer first started through guest roles in television series like Law & Order and Ed followed by films like Mona Lisa Smile and Walk the Line. Her big-break came in 2006 when she was cast for the role of Margene Heffman in the TV series Big Love. 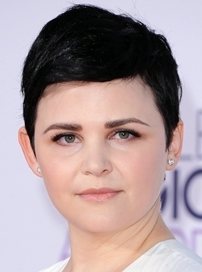 After Big Love concluded in 2011, Goodwin began portraying the lead character of Snow White in the hit fantasy drama series Once Upon a Time. Having earned major success through Television, the actress has also kept working in the film industry during all this time landing roles in movies like Ramona and Beezus, He’s Just Not That Into You and A Single Man. As for her off-camera life, Ginnifer Goodwin dated actors Chris Klein and Joey Kern for some time prior to being in a relationship with Josh Dallas whom she married during 2014. Listed below are the complete Ginnifer Goodwin body measurements including the actress height, weight, bra cup, shoe, bust, waist, hip and dress size details. Ginnifer used to be a vegan in past. The actress actually went to a clown school but failed. She changed her name spellings from “Jennifer” to “Ginnifer” in order to make it unique and easy to pronounce.